Inlays | Tubs, Floors, and More! 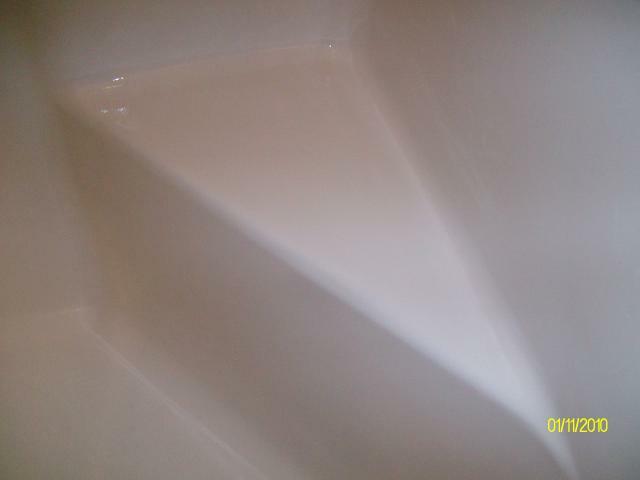 If you have a tub or a shower with a weak or cracked floor we can solve your problem. 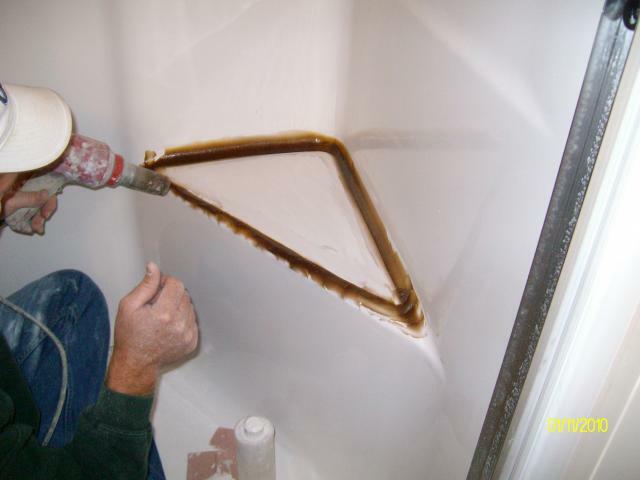 Many repair companies will try to just fix the crack or inject foam under the tub/shower floor. Neither of these are permanent fixes. 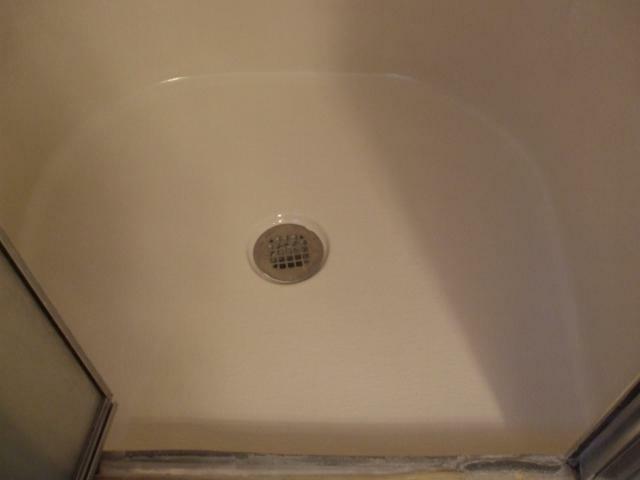 In most cases tub/shower floors crack because the floor is flexing or has a slight give when you stand in the unit. 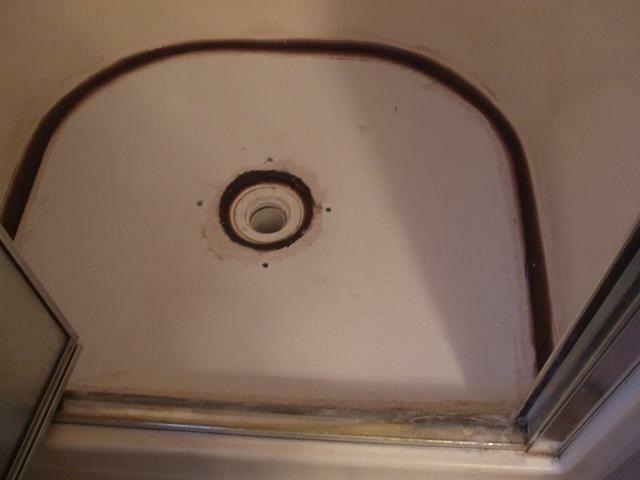 This is usually caused by support boards pulling away or delamination in the layers of the tub itself. This same concept applies to soft or cracked shower seats. If the crack or hole is just patched the area will recrack because of the flex in the floor or the seat. If the unit is foamed from the bottom it may not fill all the voids and cannot reach between the layers of the tub to stop the delamination. Foam also breaks down over time. Our company will make and install an inlay just for your tub/shower floor or seat. This is not an insert, it is completely bonded to your original finish adding superior strength to stop the flexing. We finish by rolling a texture in the floor and painting the inlay to match your existing tub/shower. When finished your unit will look new again! This process can be done on any finish! Have a manufactured home with a problematic tub or shower floor? No problem! We can fix these too! All of this can be done in a matter of hours and at a fraction of the cost of replacement. You will be able to use your tub/shower again the next day! Call or email us today for an estimate! Surface repairs on Acrylic, Gelcoat, Cast Iron, Metal, Plastic and Cultured Marble. 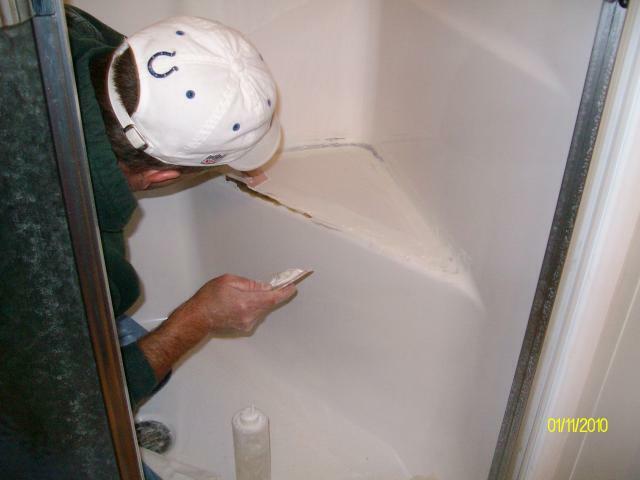 Install warranty and non-warranty inlays on weak or cracked tub/shower floors or seats. Special Needs Conversions to convert your tub to a step in shower or bath. Refinish tubs, showers, tile and claw foots. Repair or resurface vanity tops. Repair vinyl window frames and vinyl flooring. Install flooring, tile, backsplashes, tile countertops or fireplace surrounds. Repair swimming pool steps and water slides. © 2019 Tubs, Floors, and More!.